March 21 is the sixth world Down syndrome day. On the afternoon of March 21, 2017, more than 50 children with Down’s syndrome, accompanied by their parents, gathered at the Universal Port to participate in a large public welfare activities first organized by public welfare organization in the mainland of China. 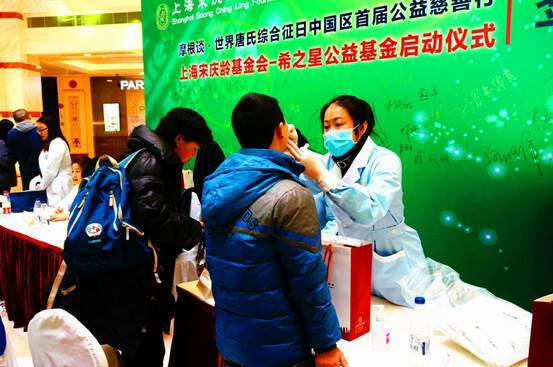 SSCLF – Star of Hope Special Fund was officially launched at the scene of activity, and announced the donation of 50 sets of obesity susceptibility gene detection for children with Down’s syndrome of poor families. 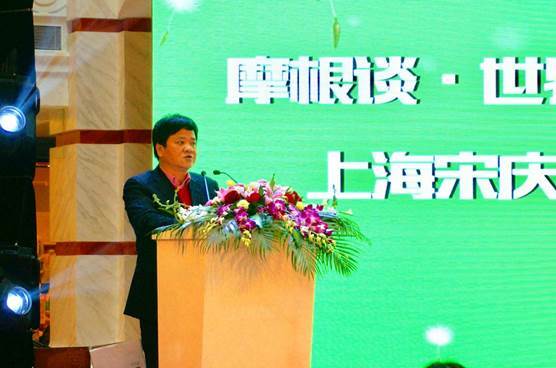 More than 100 people from social welfare organizations, relevant government departments, enterprises, caring people and volunteers participated in the event. Down’s syndrome, also called mongolism is a neonatal disease caused by chromosomal abnormality. 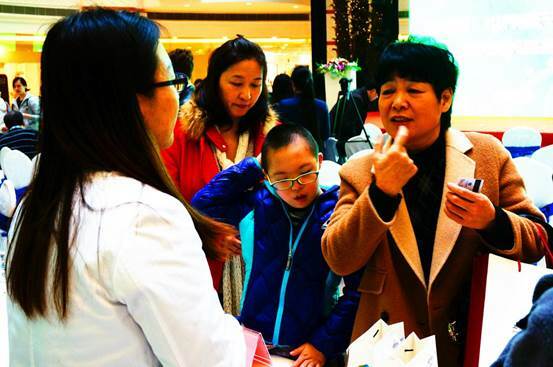 The patients have obvious mental retardation, special face, growth and development retardation and multiple malformations. In 2011, the United Nations General Assembly officially named March 21 the World Down’s Syndrome Day, meaning the uniqueness of the patient with three pairs of chromosome 21. On this day of every year, organizations of Down’s syndrome all over the world will hold various forms of exchange activities, to explore the experience of rearing children with Down’s syndrome, and called for the correct treatment of Down’s syndrome patients. 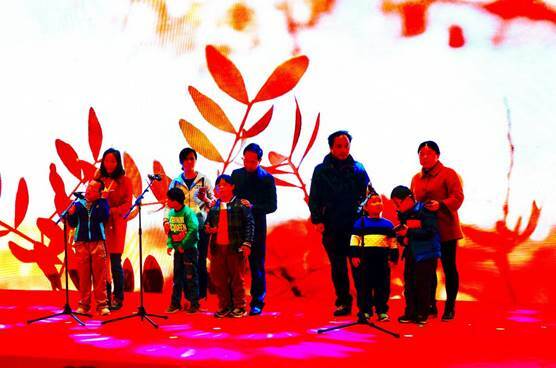 It is the first time for mainland of China to participate in the international Down’s syndrome family festival this year. SSCLF director, acting secretary general Mr. Jia Yong in his speech appealed that the whole society should pay close attention to Down’s syndrome and care for children with Down’s syndrome”, should not only spread Down’s syndrome screening concept, reduce the birth rate of neonates with Down’s syndrome, but also at the same time should provide more help for the rehabilitation of the children with Down’s syndrome, let them integrate into society as soon as possible through early intervention and rehabilitation. At the scene of activity, many families with Down’s children gathered together in exchanging and sharing their own spiritual journey. Parents exchanged their parenting experience, truly interpreting Down’s families’ hardship and difficulties. And Down’s Children’s performances proved the possibility of Down’s children rehabilitation. 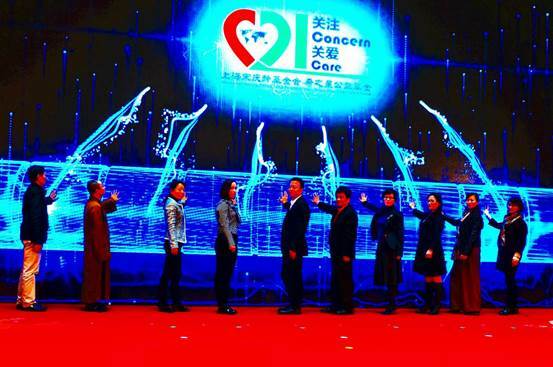 SSCLF- Star of Hope Special Fund launched on March 21 is the first fund in the mainland of China with Down’s children as its service object. The fund is founded by part of Down’s children’s parents and caring people. The fund will be committed to all kinds of public activities related to Down's children, and to help more Down’s children receive early rehabilitation and cognitive education through fundraising. On the same day, many caring enterprises expressed their care for these special children through on-site donations of money and goods. Every Down’s children who participated in the activities received a gift from the organizer.